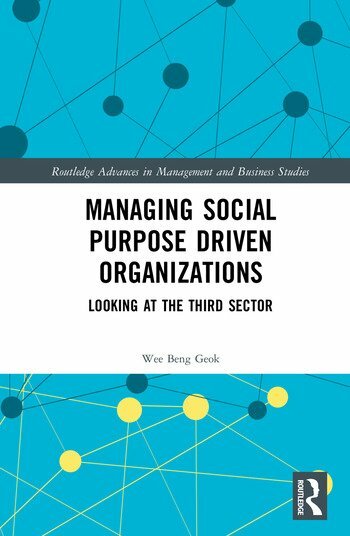 The book examines the management of social purpose driven organizations in an Asian context, using the case study approach. It looks at these organizations during a period of major changes in the regulatory and governance environment for charities in Singapore. The focus is on how these changes impact the organizational and management issues confronting several charities and volunteer welfare organizations, an arts enterprise, a co-operative and a non-governmental organization in international disaster relief. Although diverse, the common denominator among these organizations is their commitment to a core social purpose. Issues examined include: organizational restructuring, crisis management, organizational change management, social entrepreneurship and organizational sustainability. The book adopts a systemic perspective in examining the challenges of managing organizations that are neither state-owned nor private enterprises, and in particular, the interrelationships between contexts, actions and outcomes and their impact on the organizations, their stakeholders and external environments. Wee Beng Geok was Associate Professor (Strategy, Management and Organization) at the Nanyang Business School, Nanyang Technological University. In 2000, she set up the Asian Business Case Centre at the Nanyang Business School and was its Director for 15 years. She has held functional and general management positions in the corporate sector and served on the boards of several firms listed on the Singapore Stock Exchange. An advocate of systemic thinking and management, she received her PhD in Management Systems and Sciences from the University of Hull.